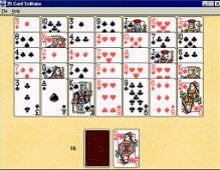 Overall, I find 35 Card Solitaire a refreshingly fun solitaire game that I keep coming back to during coffee breaks. If you think all solitaire games are boring and completely contingent on luck, this is the one game that will change your mind. Two thumbs up, way up!